Did you know that your website can actually be penalized by the search engines if it does not load quickly? It’s true! You need to make sure you’re hosting your site with a legit hosting company that is current with the latest technology regarding speed and security. Think about your first-time web visitors in this situation. What sort of first impression do they receive from your company when they try to get on your website, but the page takes 10 seconds to load? Not a good one for sure. 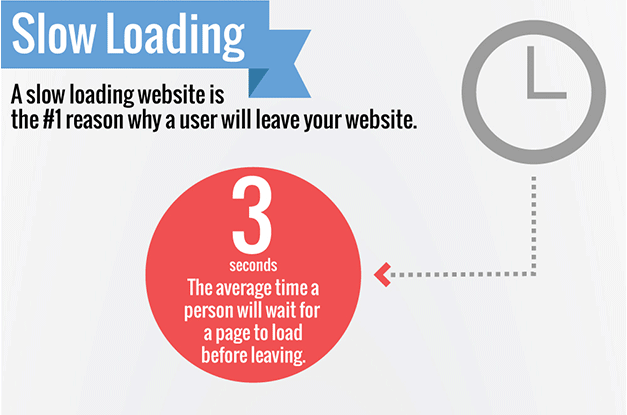 You can quickly lose potential customers because of a slow website. Check out this article for more details on why website speed matters.